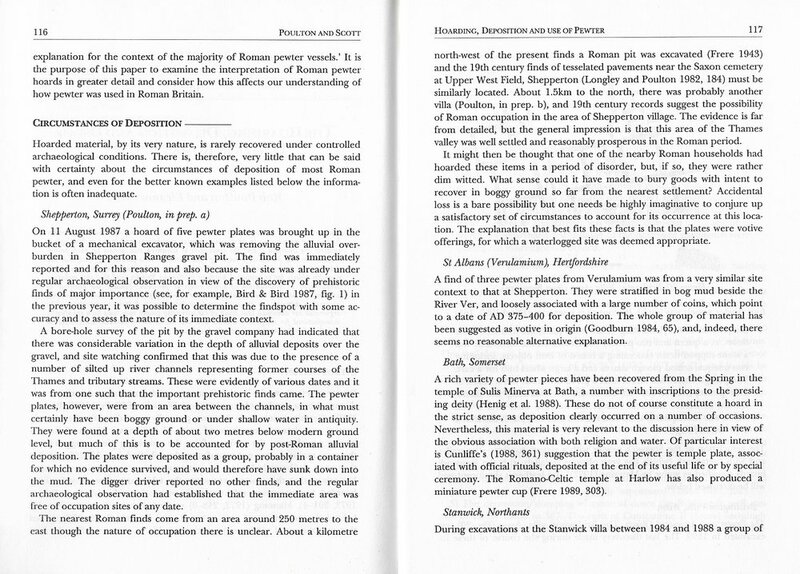 When I was researching my PhD on Romano-British villas, I kept coming back time and time again to the realisation that I didn't believe a word of some of the traditional interpretations of the contents and depositional circumstances of many of the wells known from the villa sites of Roman Britain. It also intrigued me that some villas had two wells with apparently quite different 'narratives' going on, in and around each well. 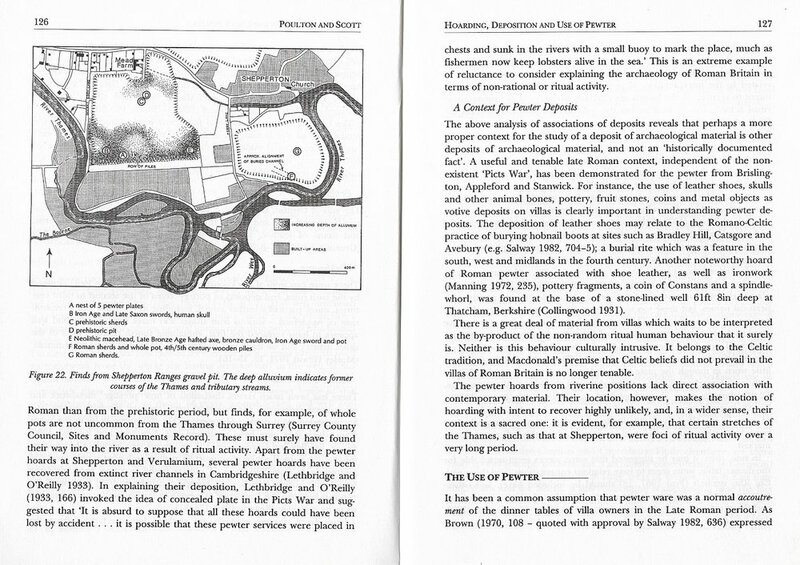 I played around with trying to re-interpret these wells within the contexts of their villa sites - fascinating sites I've always thought, spatially, socially and economically - and wrote up the resulting material as part of my PhD thesis. 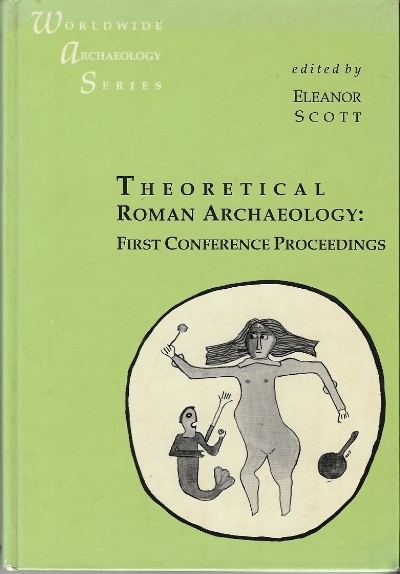 Some of this I published within a chapter that I wrote with Rob Poulton for the very first TRAC volume, published in 1993, which I had the job of editing. (I'd organised the first TRAC conference at Newcastle University.) That paper is already Open Access on the TRAC website, but for ease of reference I've published it below as well. 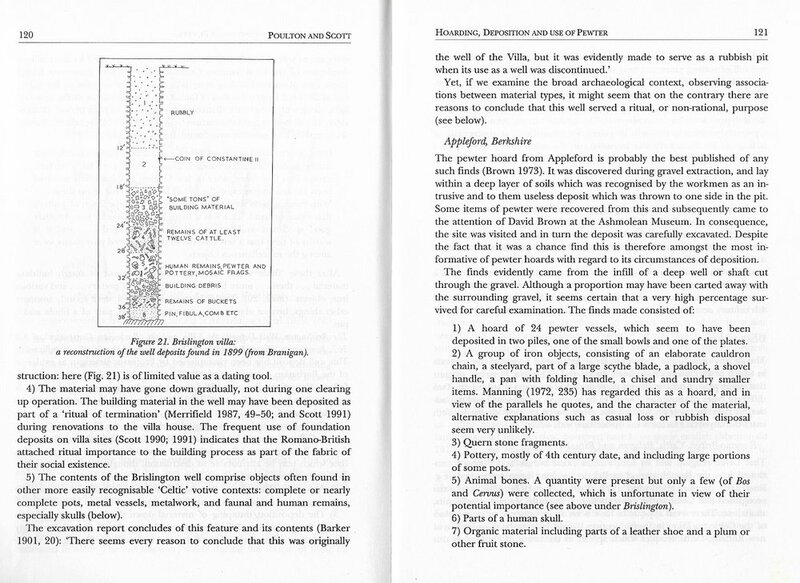 The paper is ostensibly about the hoarding, deposition and use of pewter, and arose out of discussions that Rob Poulton and I had when I worked with him in the archaeology section of Surrey County Council, but part of it discusses wells on villa sites such as Brislington because of the pewter found there among complex assemblages. I suppose my main conclusions were that there are sites such as Rudston villa with two wells where one seems to have had a more practical use and the other a more 'ritual' use. 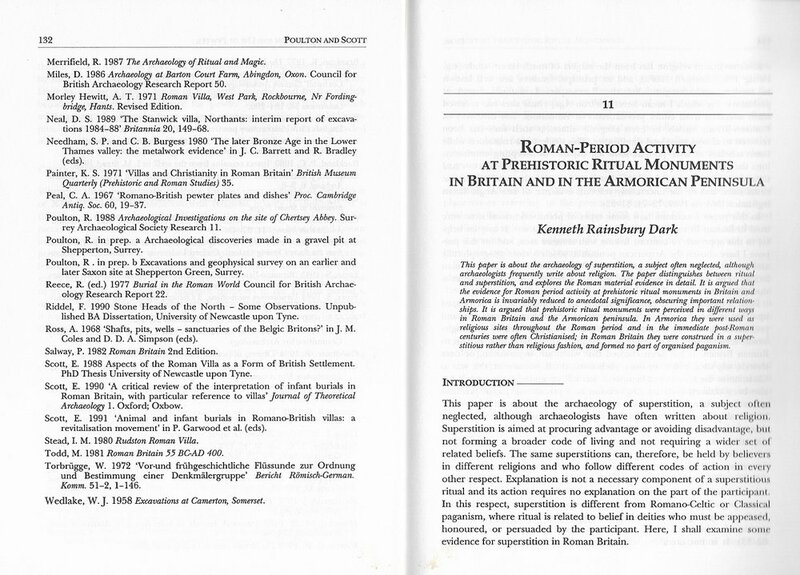 I know that 'ritual' is a bit of a joke word with archaeologists these days, and rightly so, and yes it's important that more descriptively meaningfully ways of talking about material culture and processes should be possible. For these reasons I'm very pleased that Roman period wells are to be discussed at the TRAC 2017 conference in a session organised by James Gerrard of Newcastle University, 'Theorising Roman wells and their contents: beyond structured deposition'. These papers look to be very welcome additions to the available descriptions, analyses and interpretations that are already in the public domain. 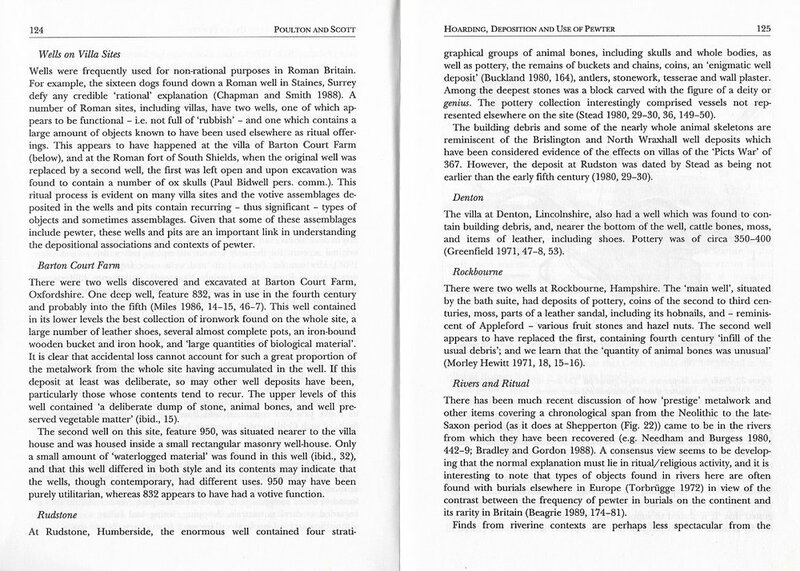 In terms of who was depositing what, where, why and how on villa sites in Roman Britain, I've played with some ideas elsewhere, such as in my paper on animal and infant burials, which offered a proposal that much of the significant agency in these cultural processes was female.